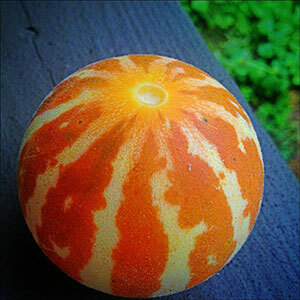 The Armenian Tigger Melon is a favorite of Frazer Love, who grows several unique varieties of melon on his urban micro farm, Perpetual Harvest. Getting through the first season as a new farmer can be daunting, but Perpetual Harvest owner Frazer Love faced the challenge with a commitment to organic growing. Love took a chance when he left his job in October 2012 to become a micro farmer. 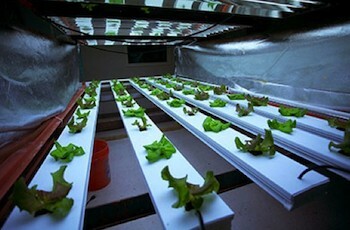 A micro farm, according to Love, is an urban plot of land no bigger than 4 acres dedicated to producing fruits, vegetables, and, at times, poultry. To start his farm, Love built twelve 16-square-foot raised beds on his home property in Athens, GA, and installed a custom irrigation system featuring a feeding barrel for compost tea and ball valves on each bed to control water flow. From garden towers to upside-down tomato hangers, the concept of a ‘grow your own’ kit is nothing new. 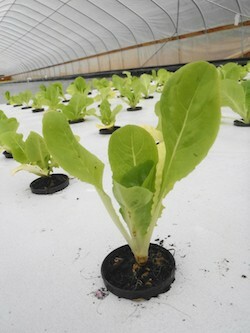 Jericho Romaine Lettuce growing in the aquaponic system at The Farming Fish in Oregon. Photo Credit: The Farming Fish. Embedded in the bucolic Evans Valley just outside of Rogue River, Oregon is The Farming Fish, a 40-acre certified organic farm. Thirty of the acres remain wild and wooded so owners Michael Hasey and Olivia Hittner can harvest native edibles like mushrooms, berries, and ferns, while the remaining 10 acres are made up of pastureland for livestock, vegetable row crops, an orchard, and an aquaponic farming operation. 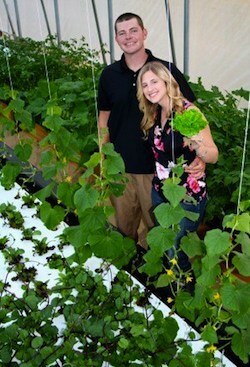 Ryan and Katie Chatterson survey aquaponic beds at Chatterson Farms. 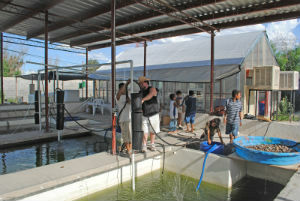 Ryan Chatterson has figured out that special combination of skills needed by today’s aspiring aquaponic farmer: the ability to grow and the ability to market. 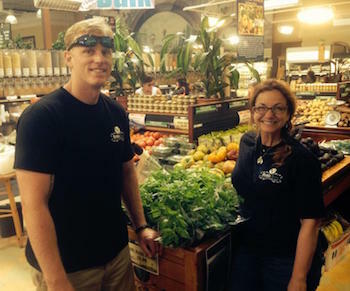 In addition to selling high-end greens at the local farmers’ market, Chatterson provides 35-50 families per week with fresh vegetables for their table through a home delivery club. 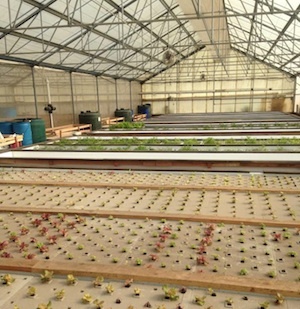 Hydroponic array inside of S&S Urban Acres operation. Photo Credit: Kreativ Studios. 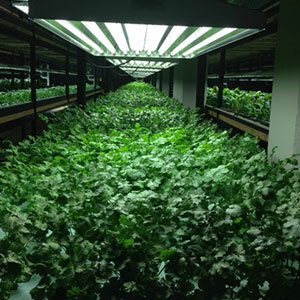 Hidden within Durfee Union Mills Building, a historic textile mill complex in Fall River, Massachusetts, lies a hydroponic haven dedicated to providing fresh, organic produce to the local community. S&S’s Urban Acres is a family-run operation which formed around the notion that people should have access to safe, healthy, pesticide-free food. More specifically, the Squillante family started the farm because they realized that the nutrient-void, chemical-laden food they were eating was making them and millions of other people sick. 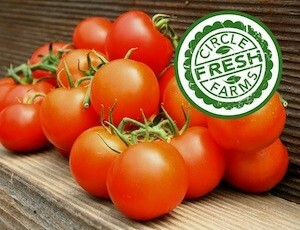 Circle Fresh Farms, in Colorado, likes to say they were born from a vision of founder Buck Adams based around sustainability, local foods and greenhouse farms, which pretty much describes the seven-year-old company.